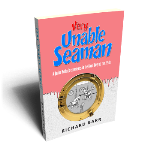 Richard Barr and Bernie Bruen met while serving in the Royal Navy in the 1970s aboard the aircraft carrier HMS Bulwark. With other crew members they formed a ship’s band, which went on to perform under the unlikely name The Malawi International Airways String Quartet ~ MIASQ for short, entertaining audiences in various far-flung parts of the world with their lighthearted ditties about nautical life. Many of the songs they performed were penned by Bruen and/or Barr themselves, and it is these original offerings that are preserved here for posterity. 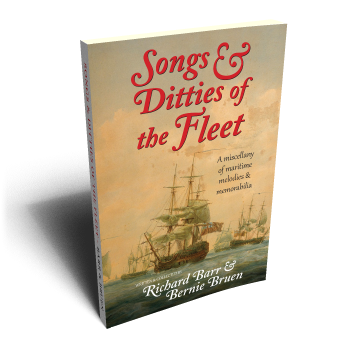 From boozy ballads celebrating the joys of alcoholic excess and the delights of female company to laments for the bygone age of sail, they all evoke subjects close to the matelot’s heart. In addition there are recollections from both authors of some of the more notable incidents from their naval careers. Other sections record sundry items of nostalgic interest and humorous comments ~ intentional and otherwise ~ made or overheard by the authors whilst aboard the various Royal Navy ships on which they served. The end result is an entertaining mixture which contains ingredients that will appeal to any former sailor. Richard Barr joined the RN in 1955 at the age of 16 and went on to serve for 29 years, retiring with the rank of Warrant Officer. After leaving the navy he tried his hand at a variety of business ventures, eventually becoming a consultant in the UK and Ukraine. 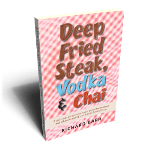 His experiences afloat and ashore are described in his books Very Unable Seaman and Deep Fried Steak, Vodka & Chai. Now retired, he lives with his wife Stevie in Spain. Nigel ‘Bernie’ Bruen joined the Royal Navy in 1968 as an officer cadet at the age of 22 and proceeded to specialise in mine clearance diving. He was awarded a DSC for clearance work in the Falklands War and later an MBE for similar work in the Red Sea whilst commanding HMS Gavinton. After retiring from the RN, he served for ten years as an officer in the Royal Navy of Oman. Now retired, he lives in rural France.